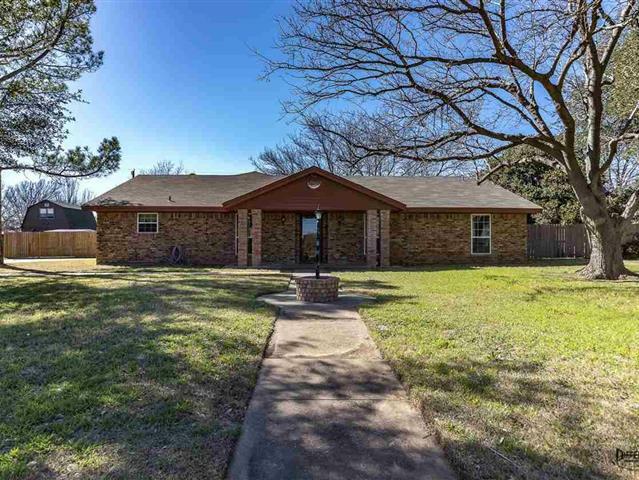 Well cared for one owner 3/2/2 brick home in Burkburnett with side entry garage on large lot has newly installed vinyl wood plank flooring throughout the kitchen & living area! You’ll love the generous kitchen and dining- so much space! Kitchen offers abundant wood cabinetry, granite countertops, tiled backsplash & black appliances. Large living with brick wood-burning fireplace for cozy evenings. Master suite has ample closet space & large tiled shower. 2014- double pane windows; roof will be replaced.